A Day Late and A Dollar Short: The Arena at Gwinnett Center Celebrates 10 Years in Gwinnett County! 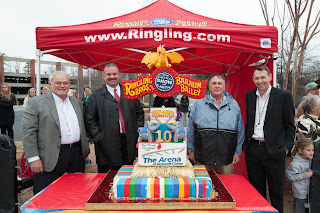 The Arena at Gwinnett Center Celebrates 10 Years in Gwinnett County! 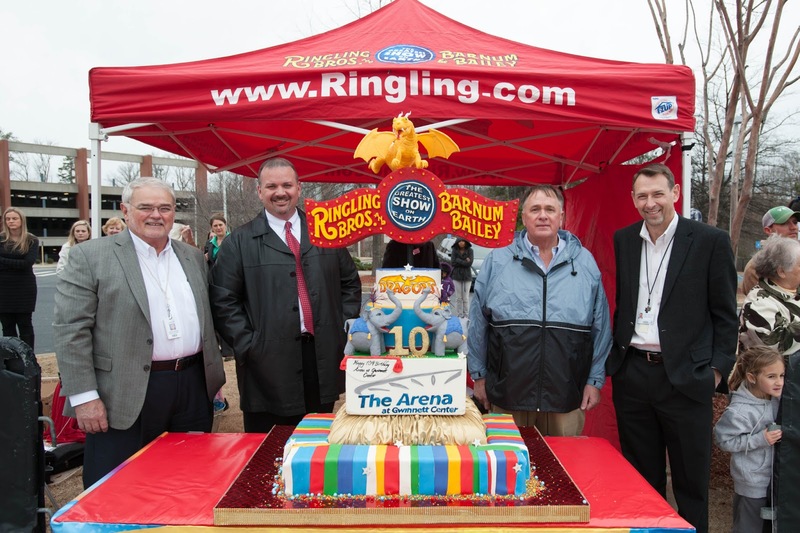 The Arena at Gwinnett Center celebrated its 10-Year Anniversary with special performances by Ringling Bros. and Barnum & Bailey. 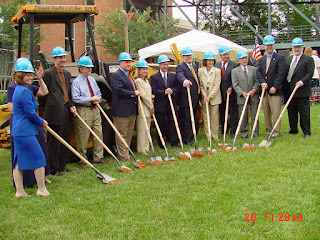 The event honored The Arena, which opened its doors on Feb. 17, 2003 with the Arena Football League’s Georgia Force. Since its opening, The Arena at Gwinnett Center has been home to 1,014 shows, 120 sold-out performance,s and 6,713,525 event attendees. Country music artist, George Strait was the first concert to play The Arena on Feb. 21, 2003. Since then, Strait has been one of The Arenas most visited artists and has played in Gwinnett County 5 times over the past 10 years. The Arena at Gwinnett Center is constantly upgrading the venue to meet the needs of the public. This year will be focused on digital upgrades, so the venue can remain young in appearance. The Arena now has digital scoreboards, digital menu boards in the concession areas, and flat screen televisions in the concourse. The facility was constructed with patrons in mind, so these upgrades continue to make the venue appealing to the public. There will be a lot of exciting promotions surrounding the 10-year anniversary over the next year. The first promotion will be launched on Gwinnett Center’s Facebook page (www.facebook.com/gwinnettcenter) when Gwinnett Center reaches 10,000 fans. For those fans who “like” the page, they will be able to enter a contest where 1 lucky winner will receive 2 tickets to the next 10 events at The Arena at Gwinnett Center. For more information about the events at The Arena at Gwinnett Center, please visit www.gwinnettcenter.com.